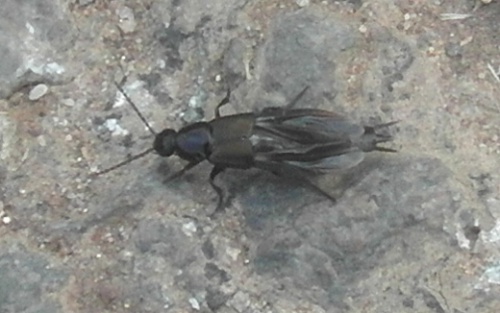 This is quite a large fairly plain dark brown or almost black rove beetle, sometimes paler when found in caves. Found in a variety of locations including mammal burrows, tree cavities, and caves as well as in various outbuildings and compost heaps. Lives in debris and decaying organic matter, especially compost heaps and fungi. 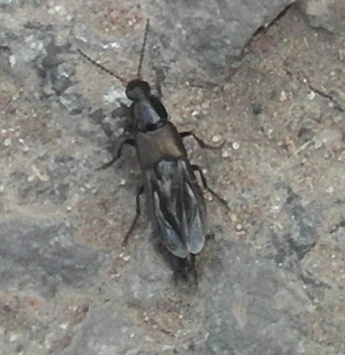 Fairly common in Leicestershire and Rutland. 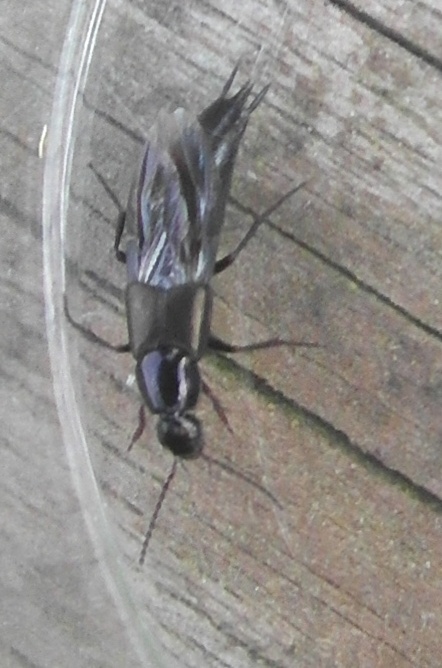 There were a total of 52 VC55 records for this species up to March 2015.